Mr. Aitch and I rode the Harley to my brother’s in New Hampshire and I thought I’d post pictures of some of the gifts we are giving to our host and hostess. 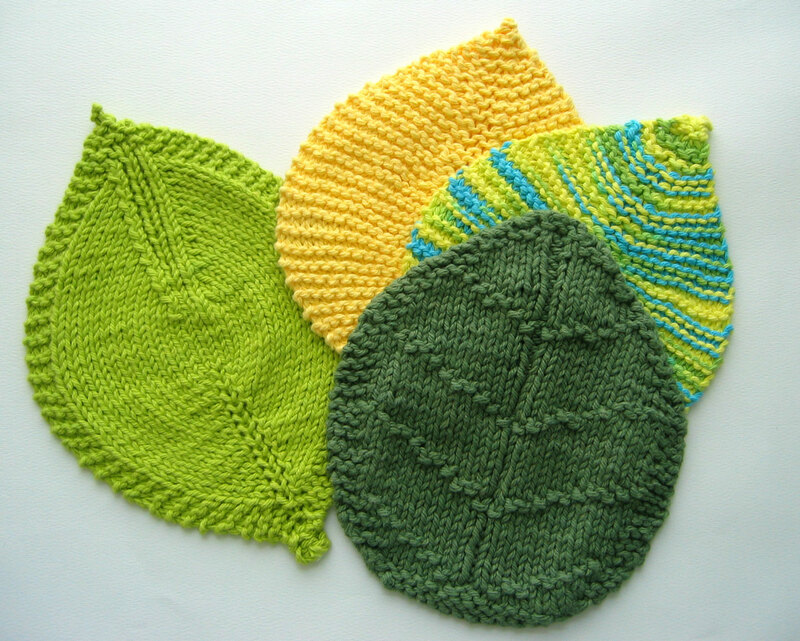 These are a few of the Leafy Washcloths I knitted using these this pattern and this one. 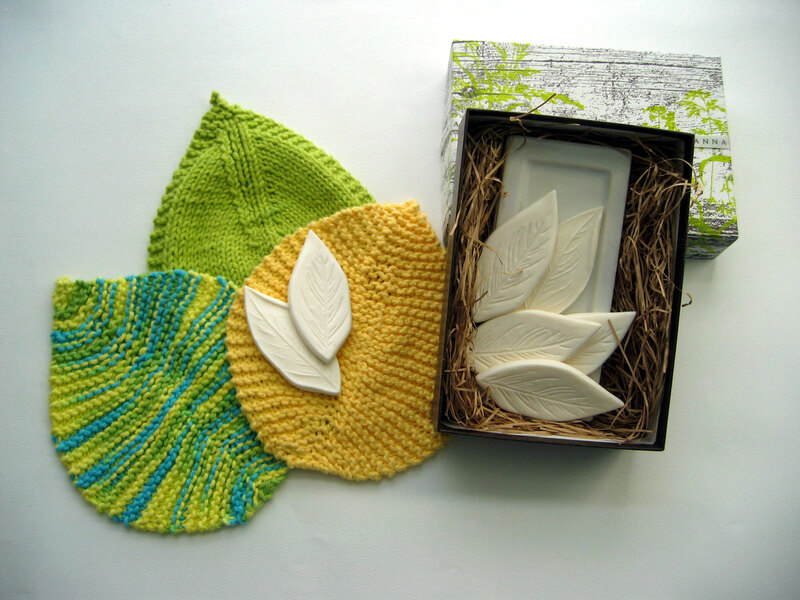 I found these cute leaf-shaped soaps and thought they would be the perfect complement to the wash cloths. So you made it safely! Take pictures of their house so I can see! Have a nice time! The soaps were a great idea! I still plan to make some of those leaf washcloths. I think I’ve mentioned that I’ve gotten hooked on using my knitted dishclothes! Beautiful washcloths. Very cute soap. Perfect, as usual. Do you have one or two bikes? Florida is rife with Harleys. There’s some big motorcycle thing every year in Daytona – Bike Week – and that’s only about 60 miles from us, so we can almost hear it. How far are you from New Hampshire? For some reason I’ve always thought of you in West Virginia. Am I wrong? That would be quite a drive! … I mean ride!